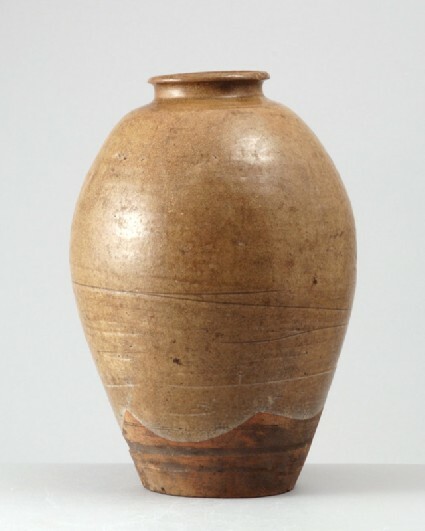 The heavily potted ovoid jar has a narrow mouth with rolled rim and a flat, concave base. The buff stoneware is covered with a yellowish glaze, which ends in an uneven line well above the base. The glaze has discoloured to an olive-brown tone and has an overall stained crackle, due to use or burial.